This is the first time I have tried baked cheesecake and it was absolutely delicious , I have defiantly been missing out. My boyfriend and I actually fought over who got the biggest piece of the last slice. I could have eaten the whole thing! This seriously good baked cheesecake recipe is great for a dinner party. Quick to prepare, easy to bake and simple to serve with chilled mixed berries. Your guests and family will be thinking you slaved over the oven all day for them. A tip to get the smooth velvet finish is to let your cheesecake cool down in the oven, if you take it out it will crack :(. So make sure you have the room and time to leave it in there. For tips on using a halogen oven see here. I want to thank my Mother for actually making this recipe and I was her assistant photographer 🙂 And also this recipe is based on Donna Hays Baked Cheesecake recipe – a great baker. In a food processor add your biscuits and pulse until crushed. 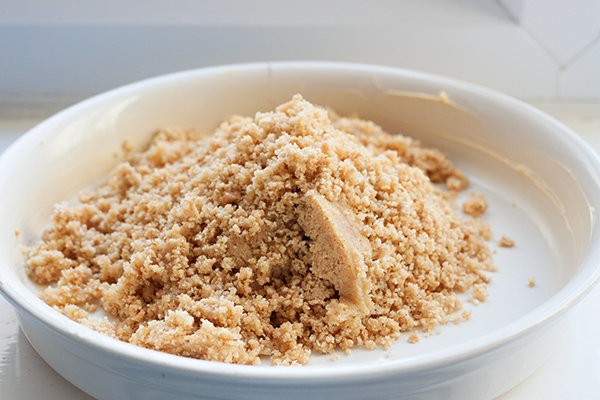 Add the ground almonds and melted butter and pulse again until a wet sand texture. Grease a large tart tin and press your biscuit mixture in to the bottom, making a smooth even surface. Some people then gently bake the biscuit base but we didn’t bother and it turned out fine :). 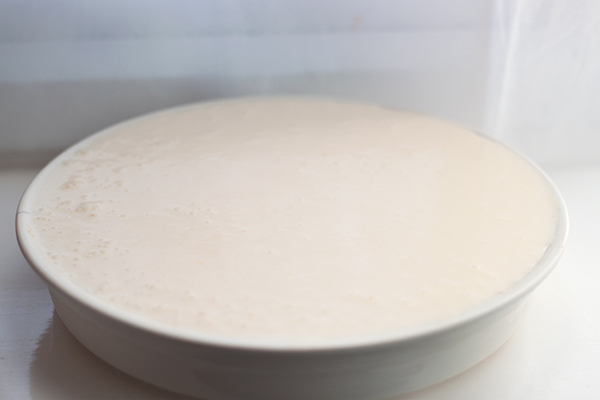 Mix the cornflour with the water to make a smooth thick paste. In your food processor add your soft cheese and pulse until smooth. Add the fresh ricotta, eggs, lemon rind, lemon juice and your cornflour mix and blend until it is a nice smooth batter texture (ours was rather runny but again it didn’t make a difference). Carefully pour your cheesy mixture over the biscuit base and bake at 150C for around 1 hour to 1 hour -10, making sure your mixture is set. 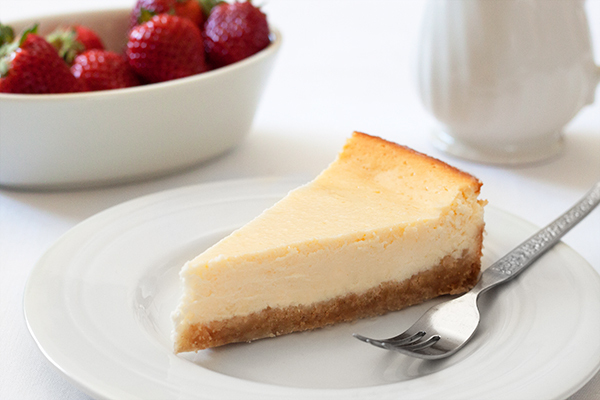 Leave your cheesecake to cool down in the oven completely before chilling in the fridge before serving. Serve with cream and fresh berries, yum! now THIS is a seriously good looking cheesecake! i definitely could devour a slice right now.. looks almost too perfect to eat! Thanks 🙂 as I wrote this up I was really craving a piece!! Thank you!! It is the best dessert ever I promise! !